The seasoning is the same as on their crisps, but this time, they’re square! Oh my god! 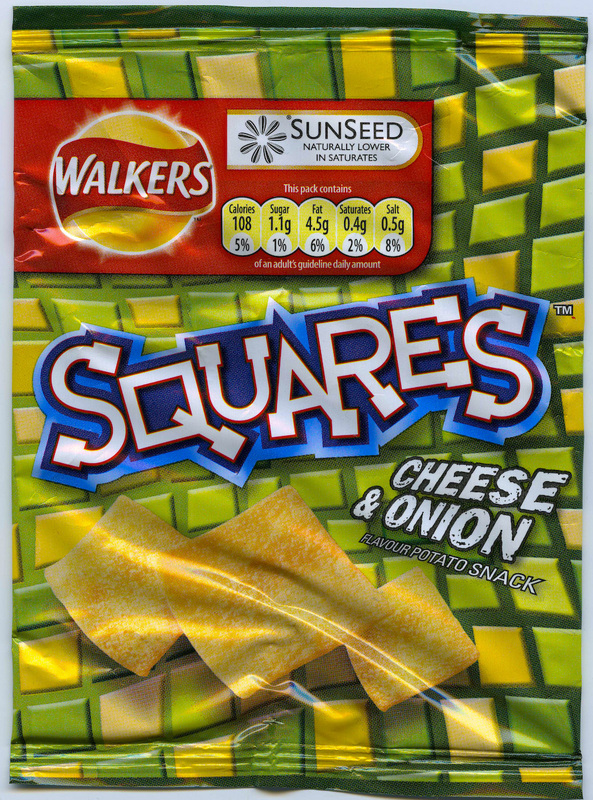 Is this Walker’s answer to Pringle’s? fact is, they’re made from dried powder rather than cut potatoes (as you may have guessed). You only get a taste of 25g – it’s rationing time again, dear! Because it\’s not about the food contents. It\’s about the artwork that is iconic packaging.